Chalkboard paint is a do-it-yourself homeowners best friend. 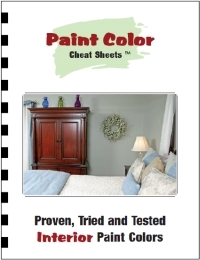 It is the perfect paint to use when painting a variety of areas in your home and your family will love it. When it first came on the market, chalkboard paint had an almost unbearable odor and was hard to use. Today’s varieties still are not the most pleasant smelling and will definitely require ventilating the room, but they are not so offensive that you have to clear the house for the day just to paint with them. If you are looking for fresh new ways to decorate your home, try using chalkboard paint in the ten different places below. Not only will you be decorating, but you will be painting the walls at the same time. The kitchen is the ideal place to use chalkboard paint, because it can be used as family reminder board or shopping list area. Frame it on the wall with an inexpensive frame and you have a central message spot that everyone will love. Never worry about losing a sticky note again. A chalkboard on the wall above or next to your desk can turn your ordinary office into a neatly organized one where you will enjoy working. Leave notes for your family members when you come and go with a chalkboard in your entry area. Keep track of what is washing, who needs to do laundry and chores, and make a note when laundry soap or fabric softener sheets are running low. Keep track of what is in each drawer and behind each door of the entertainment center by painting them with a small swatch of chalkboard paint and labeling them. The best part is that you can rearrange and reorganize as much as you want and only have to erase the label and write a new one. Turn the side of the bookshelf in the living room into a chalkboard. You can keep track of favorite books, write down favorite quotes, or leave notes for other people. The coffee table has new life when you transform it into a writing table. Paint it with chalkboard paint and your children can draw on it to their hearts’ content. It is also a fun place to start a game of tic-tac-toe when you are bored. Create a chalkboard on the outside of your children’s bedroom doors. Not only can they decorate them with their names, but they can also use them to write notes about their schedules. Speaking of schedules, the bathroom door needs a chalkboard to record who is using the shower when. This is especially helpful when there are a lot of family members and only one bathroom. The most obvious place to use chalkboard paint is in the playroom. It is a great, eco-friendly medium on which children can paint, draw, and create. No matter where you decide to use chalkboard paint, it is sure to enhance the look and feel of your home’s decor.